For a film ostensibly about driving, Baby Driver’s most emblematic scene has nothing to do with a car or the road. It features the eponymous Baby (Ansel Elgort) at home futzing with retro electronic equipment, creating a mix from a tape recording that’s reminiscent of collage-style turntablists like Steinski and DJ Shadow. He makes a name for his tape, puts it in a bag filled with others just like it, and then turns to view his collection of iPods, a sizable array of just about every model and generation imaginable. “I have different iPods for different days, different moods,” he tells his waitress crush, Debora (Lily James), and you can tell he means it. Baby listens to music to drown out his tinnitus caused by a childhood accident, but it also serves as an escape, a surefire way to detach from the nasty reality he lives in. He has his ear buds in almost every waking moment of his life, freeing him up to reside exclusively inside his head; he bumps into a minimum of four people on his way to get coffee just because he blocks the hum of civilian life. Although it’s a boon to his getaway-driving career (he doesn’t say much and thus can remain mysterious to each new criminal crew), it also keeps him at a noticeable distance from the rest of the world. It’s only a new love that gets him to engage with something other than a wheel, click or steering. Baby Driver might be director Edgar Wright’s first “Hollywood” movie, but Baby himself falls neatly in line with other Wright protagonists who use music as a way to rewire the world in their own image as well as divorce from it completely. Shaun (Simon Pegg) and Ed (Nick Frost) of Shaun Of The Dead drunkenly create amateur electronic music much to the chagrin of their more mature roommate. Later, amid the rise of the undead, the two pore over records to decide which ones are worth throwing at nearby zombies (the Batman soundtrack, not Sign O’ The Times; Dire Straits, not Second Coming). Scott Pilgrim plays bass in a garage rock band that’s trying to get signed, spends his days in record stores with his girlfriends, and hobnobs (or, rather, awkwardly interacts) with Toronto’s indie scene. The World’s End’s sad sack alcoholic Gary King obsessively listens to a mixtape from his adolescence, featuring songs like the Soup Dragons’ hit cover of “I’m Free.” When Gary plays the tape in his car, Steve (Paddy Considine), the friend who made it for him, asks where he found it. “It was in the tape player!” Gary responds, without once registering the melancholy. Moreover, most of Wright’s films have a musical spirit to them, even if they’re explicitly working within other established genres. His cult TV series Spaced treated its various pop culture homages, both obvious and subtle, like their own personal mixtapes to attentive viewers. The iconic “Don’t Stop Me Now” scene from Shaun Of The Dead, in which Shaun and his pals batter a zombie bartender with pool cues to the beat of Queen, is an obvious precursor to the fully realized version of this technique in Baby Driver. Scott Pilgrim Vs. The World especially functions as Wright’s own slanted take on a musical—each fight with Ramona’s exes has the feel of a different number, varied by the personality of the ex and unique to the baggage they carry; the dialogue has a musical rhythm, filled to the brim with quick-fire repetition and call-and-responses; even the throwaway gags are musically related: battling bass lines come to life, the Seinfeld theme invades the diegesis, and 8-bit body blows are synced to Nigel Godrich’s breakbeat score, similar to arcade games of yore. While Wright clearly sympathizes with his characters’ pop culture filtration (it’s not a stretch to claim that Wright has personal experience with such a perspective), he doesn’t view it uncritically. Arrested development has been a long-standing theme in his oeuvre, and each of his films essentially tracks a character’s first steps into maturity, or at least an acknowledgement of flaws in their makeup. Shaun recommits to his girlfriend and leaves his childhood toys (and zombified friend) in the shed out back. Scott learns the importance of loving oneself before attempting to love others. Gary finally gets sober and abandons the past for an uncertain, literally terrifying future. It’s not as if these characters are giving up, say, music or television for adulthood. It’s that they’re accepting that viewing the world through that safe, simplified lens has inherent limitations. 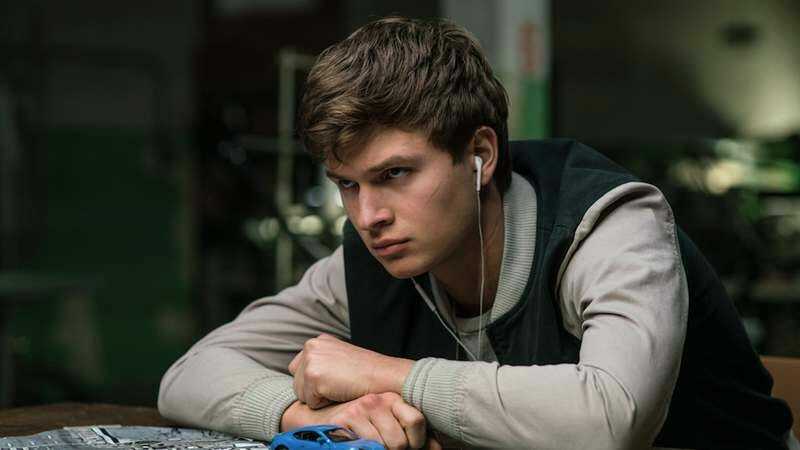 Baby Driver serves as a culmination of Wright’s abiding interests, specifically a pure synthesis of music and image, akin to a long-form music video or jukebox musical. Yet it’s Baby who stands as the most literal manifestation of Wright as cultural savant. Baby’s childhood trauma sends him into a spiral where music and crime become one and the same. He takes a coping mechanism and turns it into a professional tool. He lives in his head but performs for the world. When he falls head over heels for someone who loves music as much as he does, he’s pushed to share it with her rather than keep it to himself, whether it’s T. Rex’s “Debora” or an old Commodores cover sung by his mom. “You don’t belong in this world,” Baby tells Debora late in the film, and though he obviously means criminal life, he’s clearly also talking about the world he’s fashioned for himself, of which he no longer fits either. The hum in Baby’s head will never go away, just as our own internal pain and suffering never truly fades. But Wright argues that it’s easier to stand when there’s something more than just another song on the horizon.